IMPORTANT! You will be asked for your name when you call. 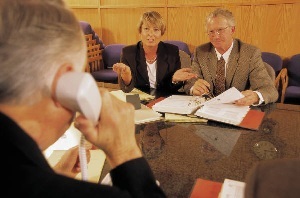 However, others may not hear your announcement if the Moderator has already muted the phone lines. If you can hear him, you are connected. Please read all the guidelines. You will have an opportunity to lead in prayer, be prepared to prayerfully address the subject of the evening. You will press *6 and lead prayer with your understanding so all other callers can agree with your prayer for 2 minutes. At close of your prayer press *6 again. When praying from Prayers That Avail Much, pray the portion of a prayer as you are led by the Holy Spirit. It is not necessary to read every word! Do not hurry your prayer…pray at a normal speed and tone. Hurried prayers are difficult to understand, which leads to distraction. Resources for prayer: The Bible; Prayers That Avail Much book series; prayers on www.prayers.org; your Scriptural prayer as given to you by the Holy Spirit. (I do internet search for prayers prayed by other groups or organizations on the given prayer focus.) The Holy Spirit will help you and show you how to pray. Please note: We are a group of men and women who have not bowed a knee to the god of this world for our day & time. Just as Elisha thought he was all alone, the Lord shared He had reserved 7000 who had not bowed their knee nor kissed Baal. We make a difference! Each man and woman is vital to the call every week – we make a difference! Glory to God! Our confidence is in a simple truth, we know that as we pray his Word, we are praying his will, thereby understanding that God hears us and if we know He hears we know that He answers! Looking forward to standing with you in united prayer!!! You are currently browsing the Prayers That Avail Much blog archives for May, 2014.